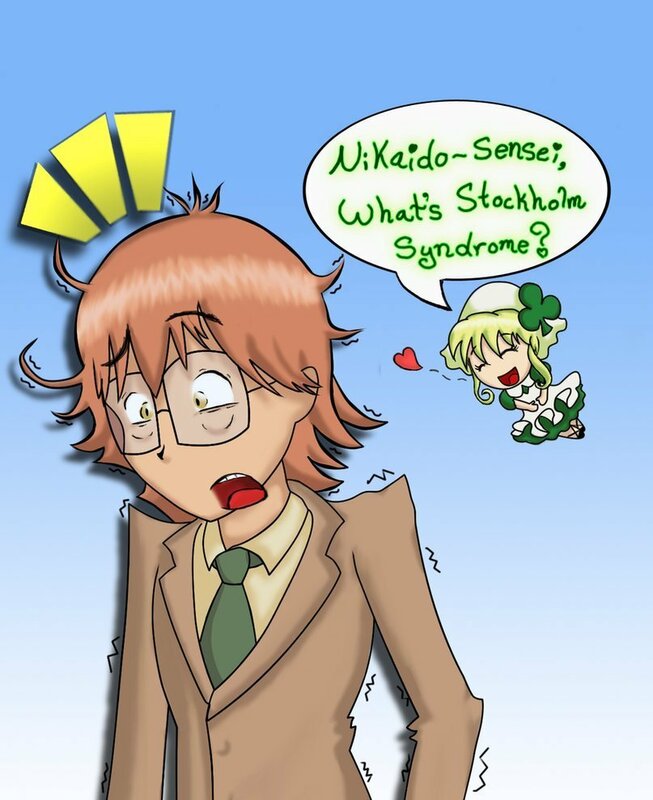 Stockholm Syndrom ;3. Well... Du see... um........ Look! A coffee stain! (Isn't the bond between captors and their hostages just so... complicated?). HD Wallpaper and background images in the Shugo Chara club tagged: shugo chara suu nikaidou sensei. In psychology, Stockholm Syndrome is an apparently paradoxical psychological phenomenon in which hostages express empathy and have positive feelings towards their captors, sometimes to the point of defending them. BIG..... WORDS....... PLEASE!! IN ENGLISH!!!!! pwease? Basically the prisoner cares about their kidnapper. Sometimes even fall in love.